Newcomer Family Obituaries - Charles E Carroll 1927 - 2019 - Newcomer Cremations, Funerals & Receptions. 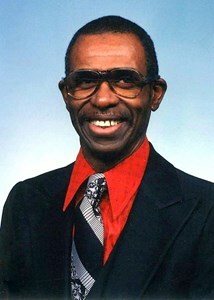 Charles E. Carroll, age 92, of Columbus, passed away on April 11, 2019 at his residence. Charles served his county with the U.S. Navy. He is preceded in death by parents Herbert Carroll, mother Evelyn (Fields) Carroll, 1 uncle and 8 aunts. He leaves to cherish his memory wife Beverly (Cunningham) Carroll, 2 daughters Linda Alexander and Lisa (Dennie) Craighead, brother Herbert Carroll, sister Helen Wright, 7 grandchildren, 7 great grandchildren, brother-in-law Frank (Minnie) Cunningham, sister-in-law Regina Cunningham, a host of nephews, nieces, family and friends, special cousins the Stokes Family. Friends may call at Church of God 116 S. Wayne Ave., Columbus, OH on Saturday, April 20, 2019 from 2pm until time of service at 4pm. Add your memories to the guest book of Charles Carroll. God Bless/RIP. A heartfelt Thank YOU, Charles for your service in The United States Navy. "Fair winds and following seas".. And Semper Fi... Sailor rest your oars.